If you like math oddities, you'll love Pascal's triangle. Named after 17th-century French mathematician Blaise Pascal, and known to the Chinese for many centuries before Pascal as the Yanghui triangle, it's actually more than an oddity. It's a specific arrangement of numbers that is incredibly useful in algebra and probability theory. Some of its characteristics are more perplexing and interesting than they are useful. They help to illustrate the mysterious harmony of the world as described by numbers and mathematics. Pascal derived the triangle by expanding (x + y)^n for increasing values of n and arranging the coefficients of the terms in a triangular pattern. It has many interesting and useful properties. The rule for constructing Pascal's triangle couldn't be easier. Start with the number one at the apex and form the second row below it with a pair of ones. To construct the third and all subsequent rows, start by putting one at the beginning and at the end. Derive each digit between this pair of ones by adding the two digits immediately above it. The third row is thus 1, 2, 1, the fourth row is 1, 3, 3, 1, the fifth row is 1, 4, 6, 4, 1 and so on. If each digit occupies a box that is the same size as all the other boxes, the arrangement forms a perfect equilateral triangle bounded on two sides by ones and with a base equal in length to the number of the row. The rows are symmetrical in that they read the same backwards and forwards. Pascal discovered the triangle, which had been known for centuries to Persian and Chinese philosophers, when he was studying the algebraic expansion of the expression (x + y)n. When you expand this expression to the nth power, the coefficients of the terms in the expansion correspond to the numbers in the nth row of the triangle. For example, (x + y)0 = 1; (x + y)1 = x + y; (x + y)2 = x2 + 2xy + y2 and so on. For this reason, mathematicians sometimes call the arrangement the triangle of binomial coefficients. For large numbers of n, it's obviously easier to read the expansion coefficients from the triangle than it is to calculate them. Suppose you toss a coin a certain number of times. How many combinations of heads and tails can you get? You can find out by looking at the row in Pascal's triangle that corresponds to the number of times that you toss the coin and adding all the numbers in that row. For example, if you toss the coin 3 times, there are 1 + 3 + 3 + 1 = 8 possibilities. 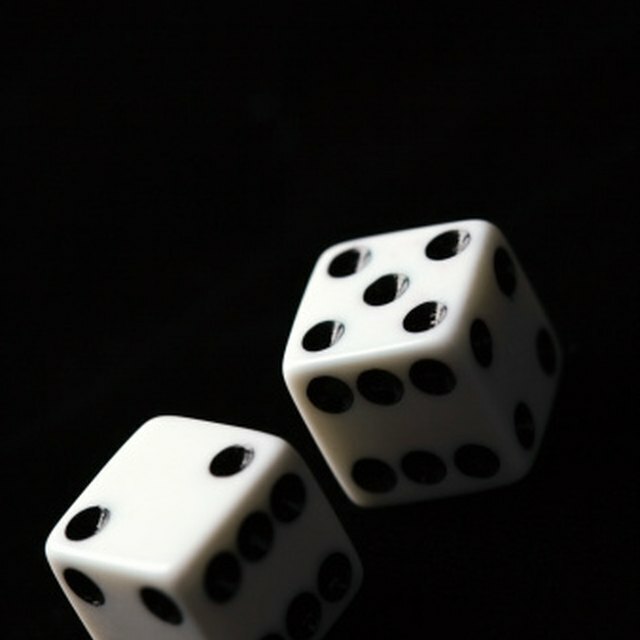 The probability of getting the same result three times in a row is therefore 1/8. Similarly, you can use Pascal's triangle to find how many ways you can combine objects or choices from a given set. Suppose you have 5 balls, and you want to know how many ways you can choose two of them. Just go to the fifth row and look at the second entry to find the answer, which is 5. The sum of the numbers in each row is double the sum of the numbers in the row above. Reading down either side, the first row is all ones, the second row is the counting numbers, the third is the triangular numbers, the fourth the tetrahedral numbers and so on. Each row forms the corresponding exponent of 11 after performing a simple modification. You can derive the Fibonacci series from the triangular pattern. Coloring all the odd numbers and even numbers different colors produces a visual pattern known as the Sierpinski triangle. Deziel, Chris. "What is Pascal's Triangle?" Sciencing, https://sciencing.com/what-is-pascals-triangle-13712187.html. 12 May 2018.